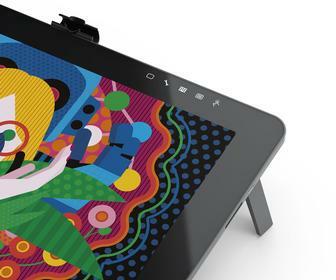 Wacom has announced the second generation of its professional graphics tablet range, Intuos2. Five sizes of tablet are available - A6, A5, A4, A4 oversize and A3. Eight different input devices are also available. Wacom has enhanced its technology; the input devices have been given an ergonomic redesign, and the product's colour is now deep purple. Input devices are accurate to within +/- 0.25mm and sensitive to up to 1,024 levels of pressure. The Intuos2 Grip Pen has a wider rubberized grip, its weight has also been adjusted for more comfort and increased control. It hosts a fully programmable double-sided switch and a pressure sensitive tip and eraser. A conversion kit that dispenses with the on-pen switch for those who don't use it is also available. The Intuos2 2D mouse has been overhauled, and new models are available as an extra. Each A5 and A6 tablet ships with a 2,540dpi cordless, ball-free three-button mouse with a scrolling wheel. Both mice and pens are rotation-sensitive, and can be used simultaneously for advanced users. A 4D mouse is also available, with more buttons and an optional lens-cursor for accuracy. Wacom's new input devices exploit a different radio frequency than Intuos1, so are incompatible with earlier products from the company. 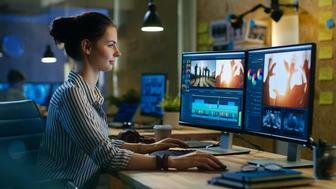 All input devices are software-customizable, and Wacom's driver software can be configured to recognize a number of different devices, remembering individual user and application settings for each device. Both mouse speed and acceleration are controllable, and the solution offers absolute positioning. Split-Tablet mode is another new feature. Users may employ the main tablet area for detailed work, navigating across the screen via the second smaller area on the tablet. The top of the range Intuos2 A3 graphics tablet costs £600 and ships with the top-of-the-range mouse and pen and Corel Painter Classic. The oversized A4 option costs £405, and ships with Painter and the 4D Mouse and Grip Pen. The A4 option ships with Painter, mouse and pen and costs £365. The A5 tablet includes Painter, Mouse and Pen and costs £255. The smallest tablet in the range, the A6, ships with the same, and costs £140. CAD versions of the larger tablets are also available; the A3 costs £540; and the A4 oversize is £370. Both ship with a lens cursor, but not Corel Painter Classic.